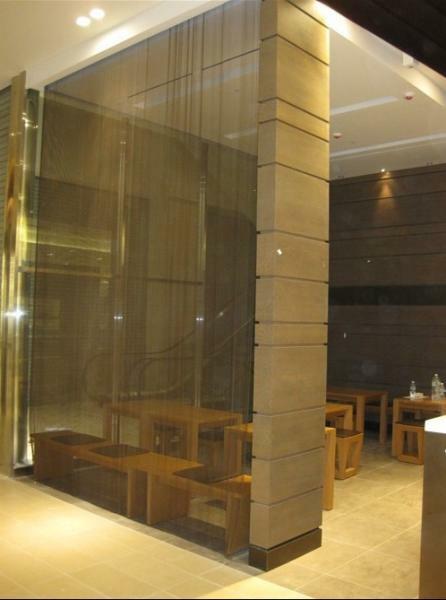 We are China restaurant dividers,metal mesh dividers,dining room screen manufacture offer best metal mesh dividers. 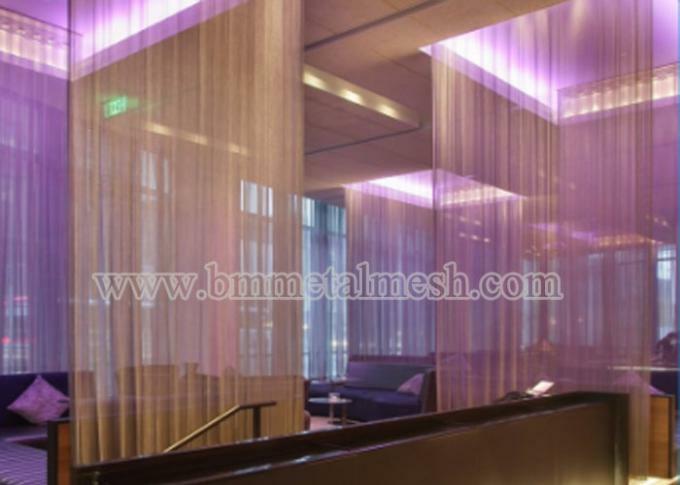 Hotel Mesh curtain used as a divider,it will creat a special place for customers. Silver woven curtain will create different perspective decorative effect,which is suitable for the divider. It can be slided easily from one end.